FLASHBACK 2018 - 'Geetha Govindam' is the only Telugu movie to achieve this! SIBY JEYYA December 25, 2018 17:00 IST FLASHBACK 2018 - 'Geetha Govindam' is the only Telugu movie to achieve this! Young hero Vijay Deverakonda had made the right noises early in his career, by starring in the small flicks Pellichoopulu and Arjun Reddy, both belonging to different genres, and both becoming huge blockbusters. Now, he has made the perfect followup to Arjun Reddy as well. 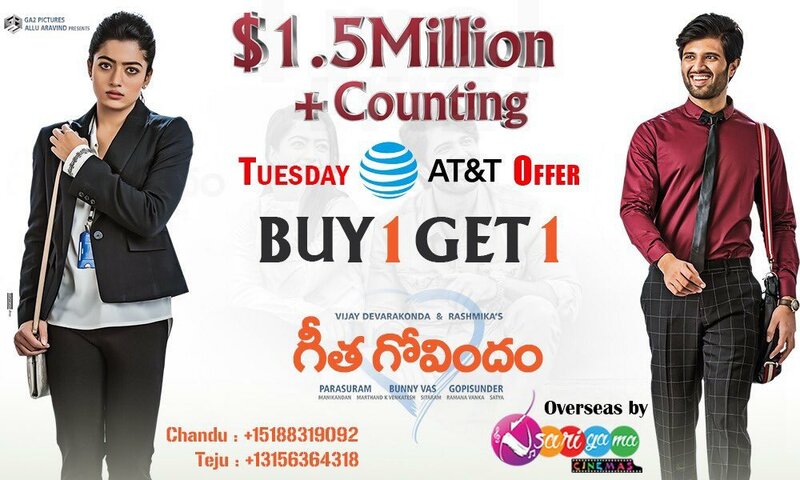 His latest release Geetha Govindam, directed by Parasuram and costarring Rashmika Mandanna, has turned out to be a huge hit, with a gargantuan opening, already rocking with collections hitting the $1.5M mark in US Box office, and with rising collections in AP/TG as well. On the other hand, the movie had an unprecedented hype in Tamilnadu as well, where the movie had a huge number of special shows, which was so uncommon for a small hero, and for a non-Tamil movie. Now, the movie will release in Tirunelveli district in Tamil Nadu and it is the first ever direct Telugu release in a town area, and this is huge considering the fact that Vijay Deverakonda is just 4 films old. This must serve as a great platform for his direct Tamil flick NOTA.